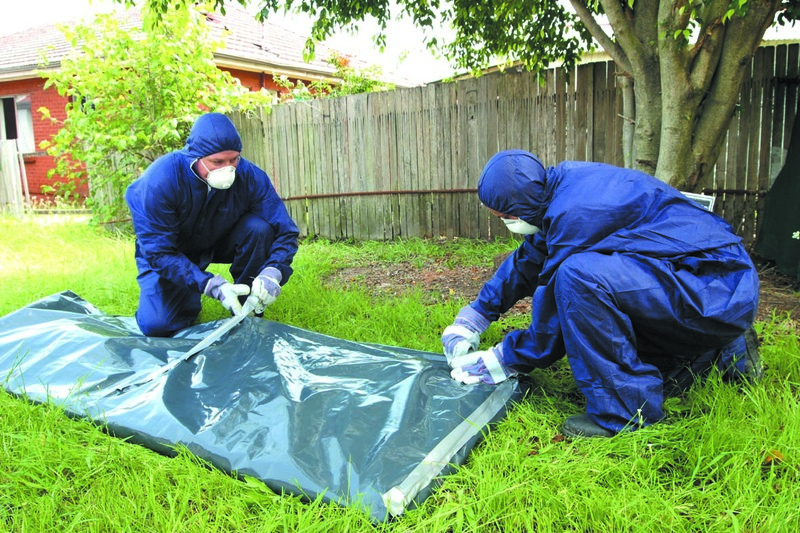 At least 1 in 3 Australian homes contains asbestos including brick, weatherboard, fibro and clad homes. Asbestos was widely used in building materials before 1987 so if your home was built or renovated before 1987 it most likely contains asbestos. If asbestos is disturbed during renovations or maintenance your health and the health of your family could be at risk. DIY is not recommended where asbestos is present. When renovating or working in and around homes, if in doubt assume asbestos materials are present and take every precaution. If you’re not sure if asbestos is in your home you can have it inspected by a licenced removalist or a licensed asbestos assessor. Products made from asbestos cement include fibro sheeting (flat and corrugated), water, drainage and flue pipes, roofing shingles, guttering and floor and wall coverings. It could be anywhere! If left undisturbed asbestos materials in good, stable condition are unlikely to release dangerous fibres and pose a health risk. Generally, you don’t need to remove the asbestos. Paint it and leave it alone but remember to check it occasionally for any signs of wear and tear. There are legal requirements regarding asbestos management, its removal and disposal. While some might follow the regulations and safety requirements to remove small amounts of asbestos, the safest way to manage its removal is to retain a licenced professional asbestos removalist equipped to protect you and your family from the dangers of asbestos dust and fibres. Where asbestos fibres are friable (loose and not bonded into building materials), ONLY licenced friable asbestos removalists are allowed to remove it. 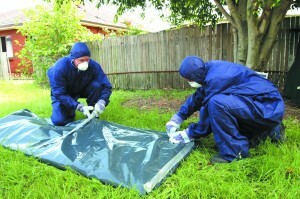 Professional removal of asbestos is affordable. You can’t afford not to use a professional! The cost of asbestos removal by a licenced professional is comparable to most licenced tradesmen including electricians, plumbers and tilers. If you must work with any material that may contain asbestos or remove asbestos yourself, protect yourself and your family and follow the legal and safety requirements for the management of asbestos to minimise the release of dust or small particles from the asbestos materials. There are a number of safety precautions you will need to take including wearing specific protective clothing, the correct mask or breathing apparatus and ensure you minimise dust and dispose of it legally. Never use tools on asbestos materials as they will make asbestos fibres airborne including: a. Power tools such as electric drills, angle grinders, circular saws and electric sanders. b. Never use high pressure water blasters or compressed air. Don’t play renovation roulette! Think Smart. Think Safe. Think asbestosawareness.com.au – Because it’s not worth the risk! A number of fact sheets have been developed for homeowners to manage asbestos in the their homes safely. Visit the FACT SHEET page for more details. There are a number of safety precautions you will need to take including wearing approved protective clothing, the correct mask (not every mask is safe) or breathing apparatus. Download Fact Sheet 1 or 2 for instructions. Use SafeWork NSW’s Asbestos & Demolition Licence Holder Search Facility to find a licenced removalist in your area. The 1800 Asbestos Hotline (1800 272 378) provides NSW with a central point of contact for asbestos enquiries.